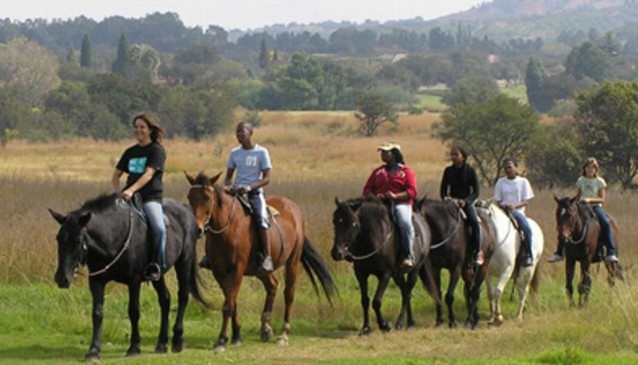 The Klipriviersberg Nature Reserve covers an area of approximately 680ha. It is situated in the south of Johannesburg and one of its many features is its ease of accessibility. The Klipriviesrberg range of hills dominate the north, east and west of the reserve and the south consists of typical grasslands. There are currently over 150 head of indigenous antelope roaming free in the reserve, these species include Zebra, Black Wildebeest, Blesbok, Red Hartebeest and Springbok. These animals are a huge attraction because they can be viewed in their natural surroundings. Probably one of the most bio-diverse areas in Johannesburg and surrounding areas, the reserve boasts many species of indigenous trees and plants and grasses, it is a geological and archeological gem. It is also of huge historical significance. There are eight walking trails in the reserve which vary in degree of difficulty from easy to testing. Free guided walks are held on every 2nd and 4th Sunday of the month, groups can be accommodated during the week.